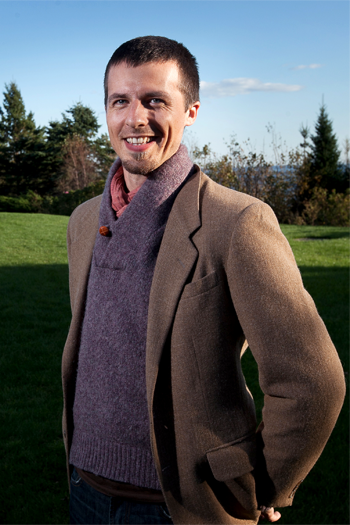 Dominic Muren is a technologist, gardener, and advocate for maker culture and open manufacturing living in Seattle, Washington. He has blogged for Treehugger.com, and his book Green's Not Black & White: The Balanced Guide to Making Eco Decisions has been reprinted in 6 languages. His lab, The Humblefactory, pursues research into new materials, processes and tools to extend the capabilities of makers around the world. He is co-founder of Alchematter.org, a platform for storing, sharing, and remixing open designs of objects. He also lectures on Industrial Design and Interaction Design at the University of Washington in Seattle. Dominic has been awarded a TED fellowship and Poptech Fellowship for his work at The Humblefactory. Alchematter is a nominee for the 2012 Katerva Awards.